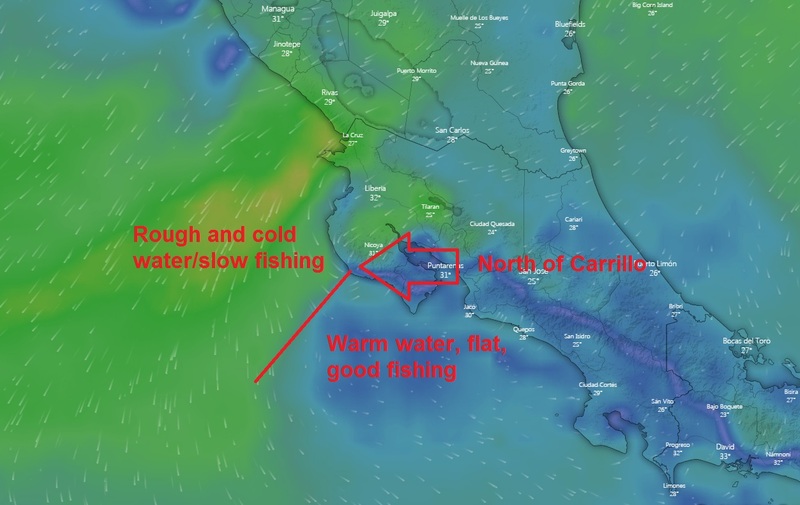 I'm heading to Tamarindo, Costa Rica at the end of February and was looking for advice on a good fishing guide. Wanted to do one blue water day and one day light tackle. Any recommendations highly appreciated. If you can get to Carrillo or south of Carrillo, like Quepos (where I'm at) or Los Suenos, you'll do good. But up north is lots of waves and no pelagics. John pretty well hit the nail on the head with the Guancaste winds this time of the year. But if you already have your trip booked try Glen on WETASSII or Chepe on PERMIT III both are out of Flamingo but I'm sure they will pick you up in Tamarindo they are both excellent captains and their price's are very reasonable. The fishing has been pretty good the past month and the winds have not been terrible everyday. You will have to make a further run to the south. I have heard from some old school captains that there maybe an El Nino going on this year and when that happens the fishing can be really good. If it is blowing the roosters have been pretty good inshore also. I hope this helps! FISHTALEIICOSTARICA.COM. Have a great trip!! Are you guys up there right now, or where did you guys go? The boat is in the marina it arrived on the 3rd I was there for about 10 days just got back yesterday. Fishing was GREAT with a bunch of sailfish and enough MAHI for dinner!! I saw Jose on MUCHO FISHO the other day looked like they were doing great on the roosters last week. Is that your boat also? I'll be back in 2 weeks hope to see you then. Yeah, fishing has been good. The Mucho Fisho boats are mine!